Finding a book that teaches lessons for many ages and comprehension levels is a gem. 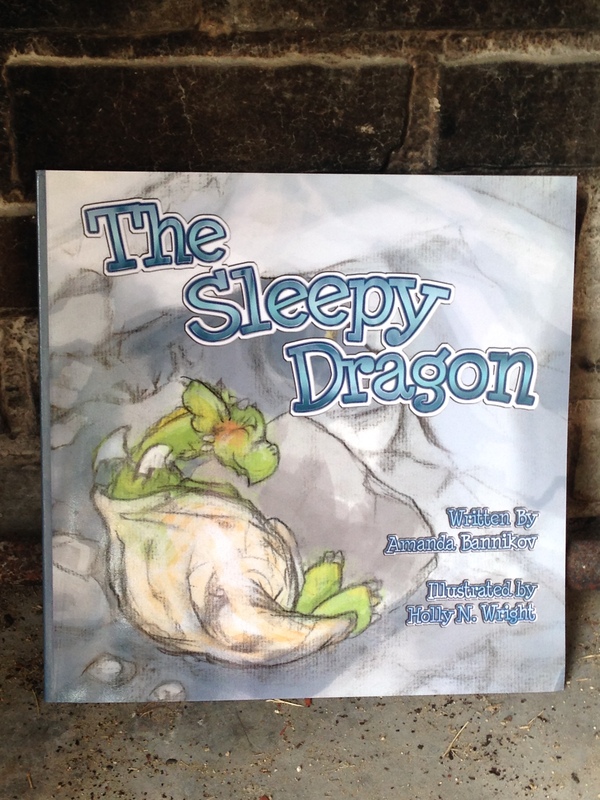 The Sleepy Dragon is one of these treasures as it’s great for helping little kids fall asleep and big kids face fears. Knight Kimothin gives helpful hints on how to have the best night’s sleep and shows us that sometimes what we fear the most can actually turn out to be unexpectedly fantastic. In the Kingdom of Smesselleo, strong and brave Knight Kimothin was not feeling so strong and brave. 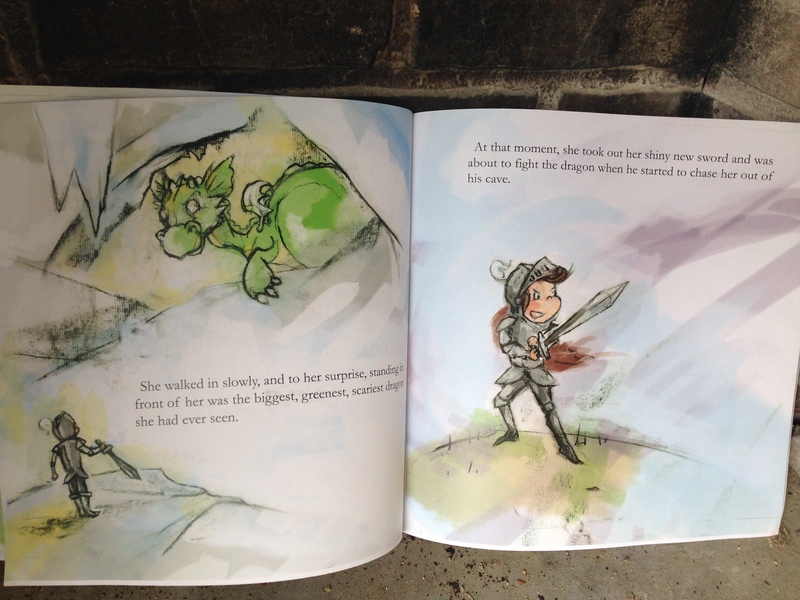 After being teased by her friends because she had not slain a dragon, she set off to prove her bravery. Determined to discover and conquer a dragon, her quest led her to one final place to search: a cave on top of a mountain. Wondering what she could possibly do to help a dragon, she yielded to his request. ” ‘Now, this is going to be the most important step to getting to sleep,’ she said. 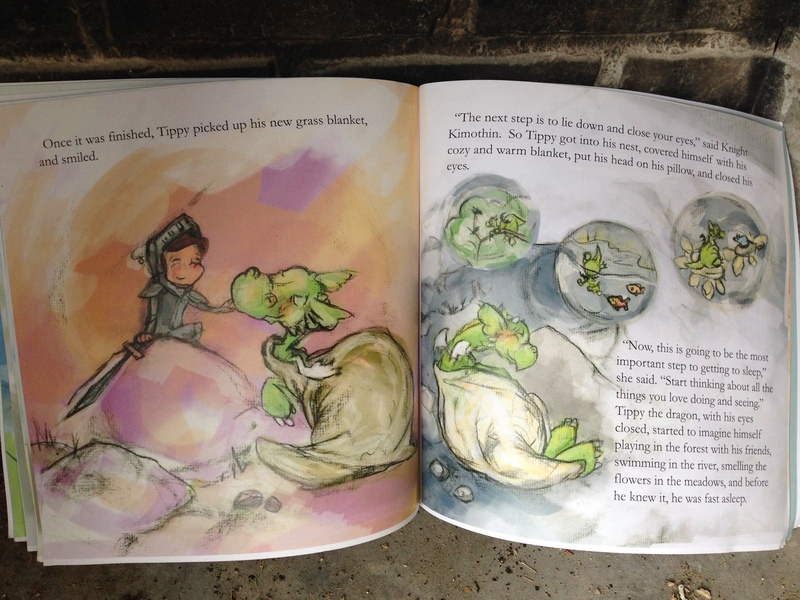 In return for her kindness, Tippy returned to Kimothin’s Kingdom to show her friends that dragons are NOT so scary and mean. 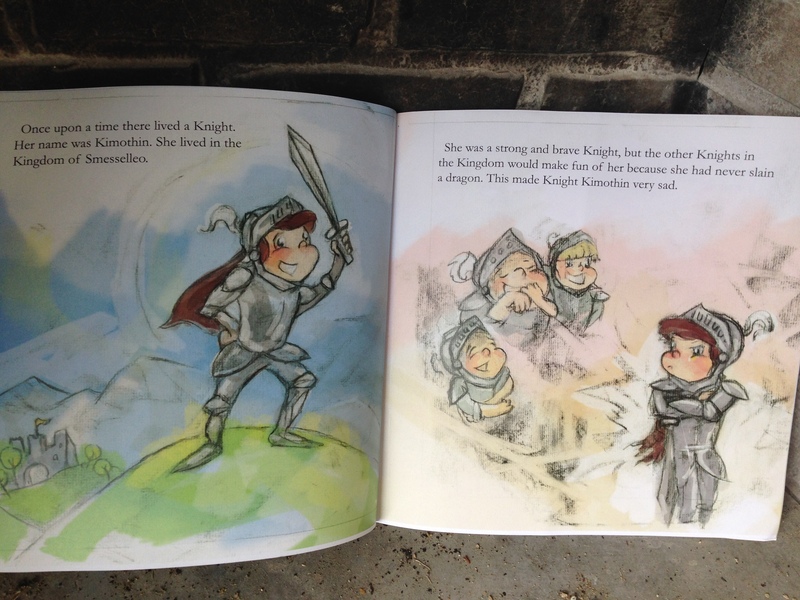 He spent his days protecting the Kingdom so that they could all live happily ever after. F- When do you feel afraid? Like Knight Kimothin, you might find that what you fear is actually not so bad. For example, if you fear going to school, taking a test, or trying out for a team, you may find that what seems so big and scary is actually fantastic. Give it a try! *And remember, you don’t need to impress any one. Just do your best for you! R- Can you relate to Tippy’s troubles with falling asleep at night? Talk about the top 5 things you love doing or seeing. Think about those when you go to bed and before long, you’ll be dosing and dreaming. I- Imagine you get to have a dragon as a friend: What’s your dragon’s name? Where will you ride your dragon? Which of your friends will your dragon get to meet? N- Navigate places dragons could live the next time you are on a road trip or hike. When you see deep forests, caves, large mountains, rocks or maybe something unique, that may be where your dragon lives! 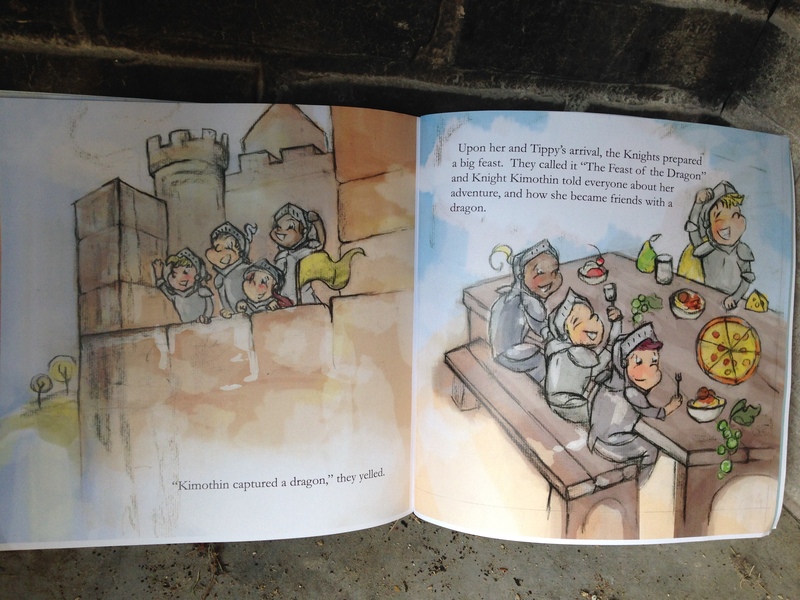 This entry was posted in Dragons, Friendship, Girls and tagged Amanda Bannikov, Black Rose Writing, bravery, children's books, courage, Dragons, friendship, helping kids sleep well, Holly N. Wright, Knights, strong female character, sweet dreams, The Sleepy Dragon. Bookmark the permalink.